Tokyo Otaku Mode announced the launch of a new project earlier today that will allow fans to directly support the production of anime. The project, called Otaku Cannon, will allow anime fans to support their favorite shows through what the company is calling “blast funding”. According to Tokyo Otaku Mode, fans are free to send in as much or as little as they can spare. The cash is then carefully collected and wrapped into half-meter cubic bundles before being loaded into a giant high-powered air cannon capable of launching the funds directly into the residences of animators. Tokyo Otaku Mode initially planned to use their new cryptocurrency Otaku Coin in order to accomplish their goal, but the project was scrapped as the idea was thought to be too convoluted to ever succeed. 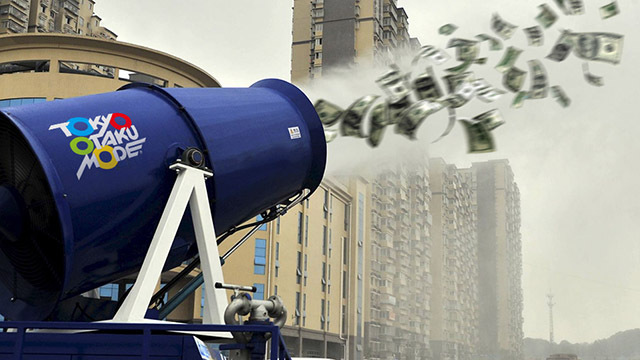 “By comparison, the process of stuffing money into a giant cannon is a much more realistic approach,” said Cheng. But not all animators are on board with the proposed program. “Hey, are you even listening to me? Wait where are you going? I haven’t finished talking yet,” Hiroko concluded. At press time, fans were seen eagerly lining up to load their money into the cannon. Prominent members of the community also encouraged others to do the same least risk being labeled as not true anime fans. Finally there is a way to give the creators money in return for their content! I think we should all donate 5.99 a month for dubs, 6.95 a month for subs or if you watch both just spend 9.99. After all anime cost money so why should they give it away for free?